Increased automation in industries like trucking and fast food could mean a loss in income tax revenue as human workers are replaced by machines. Some big names in politics and industry think they've found a solution to that problem: tax the job-stealing robots. That would be a complicated proposition. Bill Gates told Quartz it's worth exploring a tax on work performed by robots to replace lost tax revenue from human workers. A Socialist party candidate for the French presidency put the idea in his platform. He recently won a key primary victory. European lawmakers considered whether to direct executives in Brussels to look at the idea, but ultimately rejected the proposal. Microsoft founder Gates said the tax could "come on the profits that are generated by the labor-saving efficiency" or "directly in some type of robot tax." Mady Delvaux, the member of European Parliament who produced a report on robots, said that it could be a tax "on the work done by robots," but specified that it's not an idea that would make sense in the short term. Benoît Hamon, the French presidential candidate, has said a robot could be assigned a theoretical salary — which would count towards its owner's tax bill, according to Politico Europe. You could also tax investors in businesses making windfall profits because of automation, said Mike Lind of the New America Foundation, because that cost would to be less likely to be passed along to consumers. 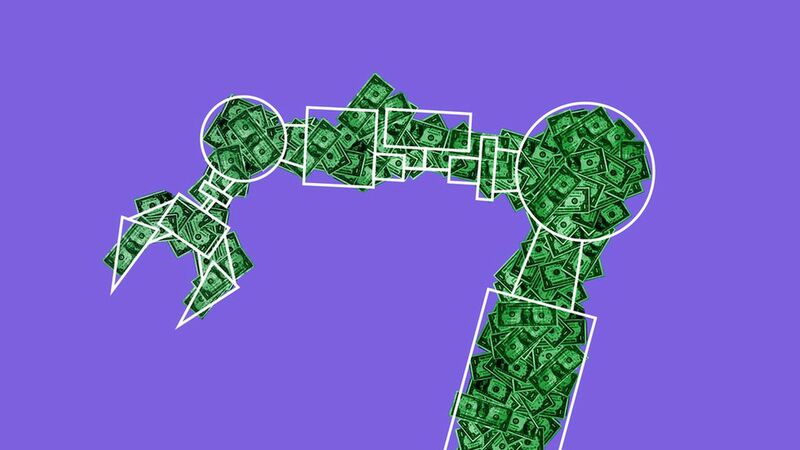 The tax would hit companies' balance sheets as they automated work, but there are plenty of ways in which replacing a human with a robot saves an employer money. Robots don't need to take breaks (unless they literally break) or call in sick, and they don't want benefits or a 401k match. "I don't think you'd want to sort of tax all labor-saving devices," said William Gale, an economist who is the co-director of the Tax Policy Center in Washington. "That would put a big crimp on productivity growth, and so I think there needs to be a justification for the tax and a definition of what we're calling a robot here." The European Parliament tried to answer this question with Delvaux's report. It called on the European Commission to propose a definition of robots that takes into account the ability to be autonomous, the presence of "at least a minor physical support," the ability to adapt to the environment and the "absence of life in the biological sense." This isn't an idea that instantly wins people over. There's industry opposition, for one thing, despite Gates' assertion that robotics companies wouldn't be "outraged" by the tax. The International Federation of Robotics represents companies like Kawasaki and Panasonic and trade groups like the U.S.-based Robotic Industries Association. It decried the idea. "Profits, not the means of making them, should be taxed," said federation President Joe Gemma. The group argues that industrial automation leads "to the creation of new, safer, higher-skilled and higher-income jobs that increase pension contributions." QuoteMr Gates' robot tax risks essentially being protectionism against progress. The bottom line: The broader debate over how to deal with the inequality created by automation is a source of global anxiety — and it's only getting more complicated. That doesn't necessarily mean that the idea of a robot tax will gain traction stateside. "I would like to see a well-thought-out proposal about this," said Gale, "and until there is one I'm assuming there isn't one."